From € 110 (2 persons) Check HERE availability. Accomodation since 2009. We then bought our beautiful typical Amsterdam house, which is more than 100 years old now. We made two beautiful apartments which are available for you to rent. 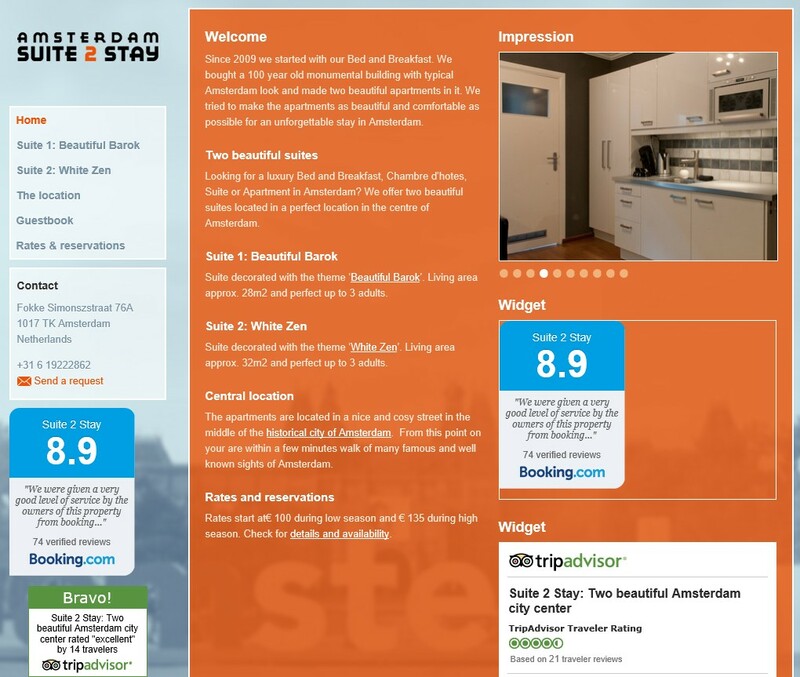 We try to do everything to make your stay in Amsterdam unforgettable. Suite 1 is a Barok style apartment. Living space circa 28 m2. Perfect place to stay for up to three adults. Suite 2 is the white Zen apartment. This apartment has approximately 32 square meters which makes it an excellent place to stay for up to three adults.